White Mountain Lodge 2222 is an elegant 1 bedroom, 1 bath luxury condo located at the heart of the Village at Mammoth. 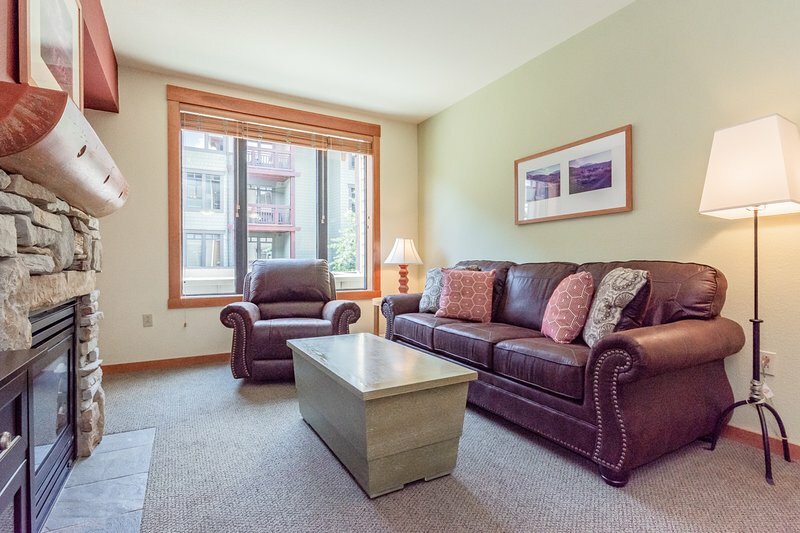 The condo offers a full kitchen, 42' flatscreen TV in the living room, a gas fireplace, and a private balcony. The bedroom boasts a luxurious upgraded king pillowtop bed for a truly relaxing stay. You will be just steps from the Village Gondola, allowing you easy access to the slopes without ever having to get in your car. As a guest of the Village, you have access to a year-round heated pool, Jacuzzis, free underground parking, full work-out rooms, and free use of a ski locker. From any of lodges in the Village at Mammoth, guests have access to the shops and restaurants that The Village boasts throughout the open air plaza, which is within walking distance. 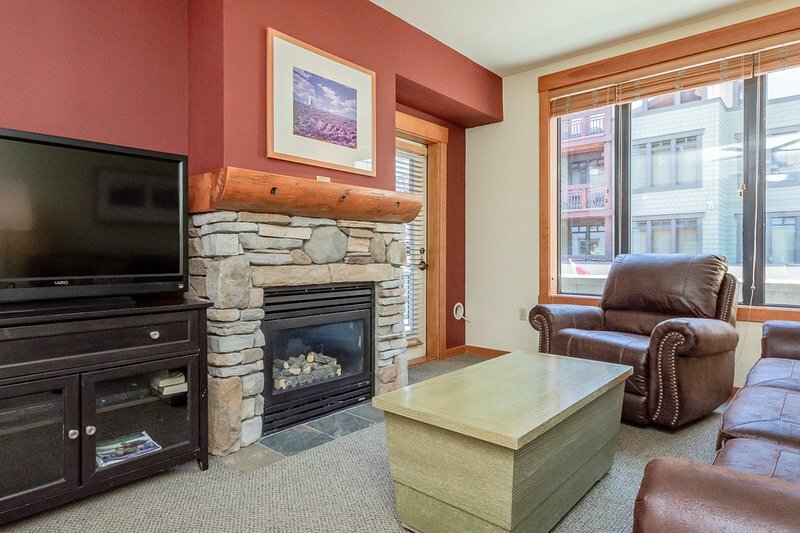 Many of...White Mountain Lodge 2222 is an elegant 1 bedroom, 1 bath luxury condo located at the heart of the Village at Mammoth. The condo offers a full kitchen, 42' flatscreen TV in the living room, a gas fireplace, and a private balcony. The bedroom boasts a luxurious upgraded king pillowtop bed for a truly relaxing stay. You will be just steps from the Village Gondola, allowing you easy access to the slopes without ever having to get in your car. As a guest of the Village, you have access to a year-round heated pool, Jacuzzis, free underground parking, full work-out rooms, and free use of a ski locker. 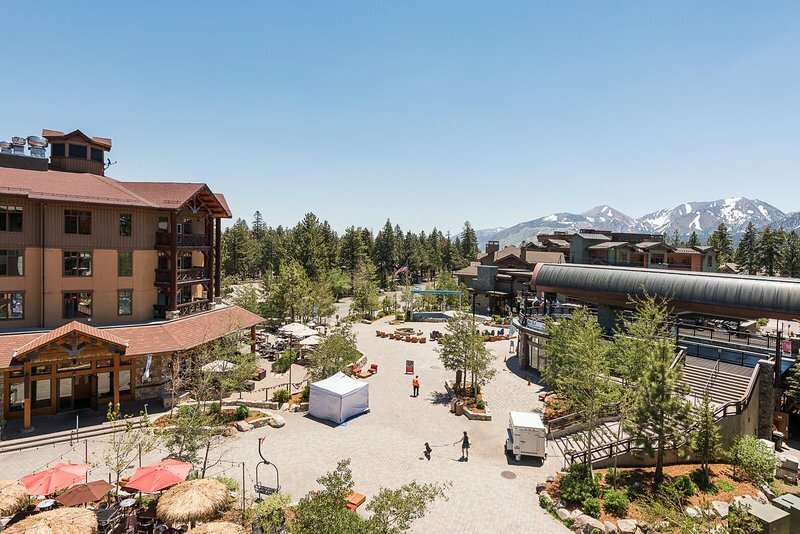 From any of lodges in the Village at Mammoth, guests have access to the shops and restaurants that The Village boasts throughout the open air plaza, which is within walking distance. Many of the restaurants have outdoor seating areas year-round, allowing a wonderful opportunity for people watching. Scattered throughout The Village are fire pits for warmth and atmosphere. This active haven makes Mammoth Lakes a hotspot for bustling year-round activity.